Kittredge Crossing Condos North Andover MA is located on Chickering Road (route 125) in North Andover. There are 4 buildings of 126 garden style condos in the community. The condo fee ranges from $200-$300 per month and it covers master insurance, swimming pool, elevator, exterior maintenance, road maintenance, landscaping, snow removal, exercise room, clubroom, refuse removal. 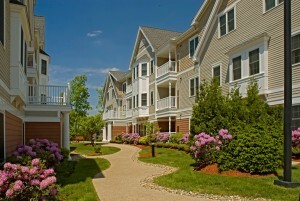 Kittredge Crossing Condos features a club house, exercise room, and an outdoor pool. Units consist of 1-2 bedrooms, 1-2 bathrooms, 640-1,300 square feet, private balconies and a range of other features like granite counters, hardwood floors, central a/c, and wall to wall carpeting. Pets are allowed in Kittredge Crossing Condos.